The travel series continues with the story behind Accessitrip. Welcome, Irina! Hello, my name is Irina. I’m a travel lover, and I love to discover accessible places around the world for people with disabilities. 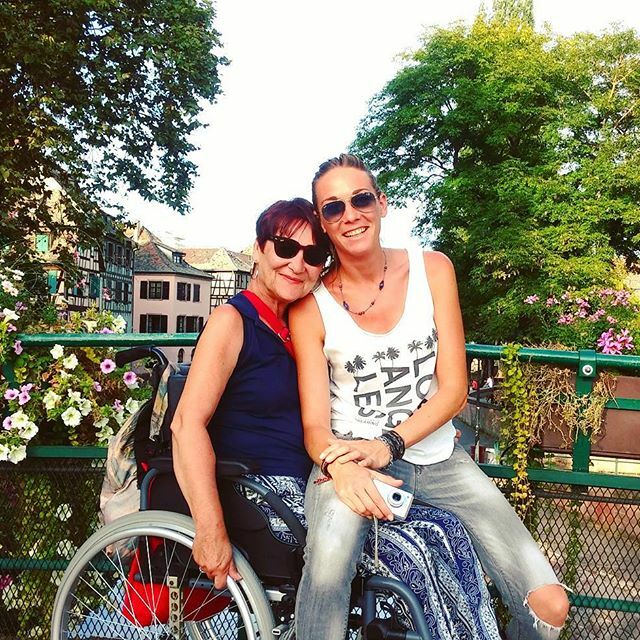 I have a relative with reduced mobility and she is the main reason why I started my adventure with the accessible tourism. 2012 was the first time that I realized: traveling for a person with reduced mobility is complicated. My mum, my aunt, and I planned our first trip to Marrakesh. Fortunately, my aunt can stand up and walk a little. We took the manual wheelchair and this was a good idea. 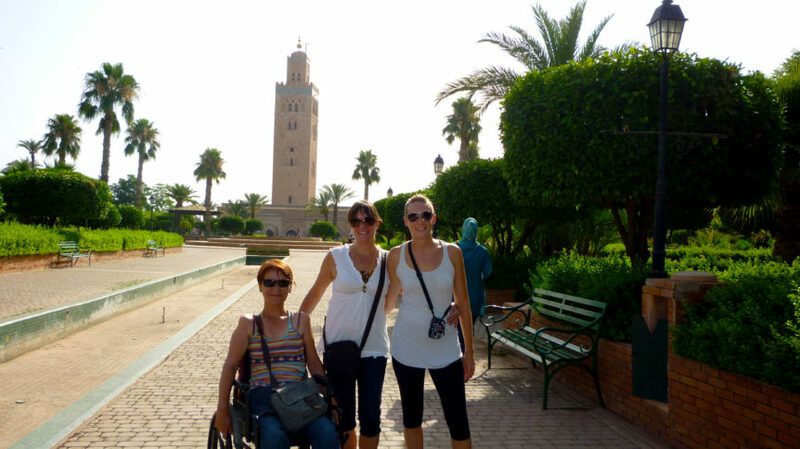 Marrakesh is full of barriers for wheelchair users. Streets are full of steps, holes, or destroyed. My aunt could see just half of most of the sights, because of the steps. We didn’t find any accessible taxi, etc. However, I have to say that people were so nice and very helpful and the trip resulted in a lot of fun for us. That was the first of several trips together. At the time, I was working as a flight attendant, and I was thinking about changing my job. I decided to open a travel agency specialized in accessible tourism called Touradapt. As a travel agent, I have experience creating packages for accessible holidays. I know it is hard to choose a friendly and accessible destination, accommodation, or just find some activities to enjoy during your free time. In 2014, I had to close the agency because of the crisis, but I knew that I wanted to keep working in accessible tourism. I studied Spanish sign language and started my tourism studies. I also did a few courses about accessible holiday package design, how to deal with customers with disabilities, etc. I wanted to improve my knowledge and find a new way to work in the same area, for the same public. In 2017, I decided to restart again with my passion and help people to enjoy traveling as much as I do. I started to work on my website www.accessitrip.com, where I share my experiences of traveling with my aunt. It’s not only my experiences with her. Sometimes businesses or city councils want to be found by travelers with disabilities. They call me to write a few posts for them. I’m doing my passion, my job, and I’m so happy for that. I would like to encourage everybody to travel. Go out of the home. Get to know new people, new places, new food…The world is amazing and is for everybody. Enjoy it, but especially, live it as much as you can, because there is just one life!